This new season of life is a little crazy, a lot of fun, a test of my patience, and exciting. Adult life is feeling more and more like a reality every day as we make decisions for our present, but most importantly our future. While we feel slightly overwhelmed, we are also so incredibly thankful for the opportunities and the milestones we get to experience together. I mean, WOW, we get to be married to one another, we get to buy a house (seriously, how are we old enough for that?! ), we both have professional jobs that we keep growing in, and husband just got into graduate school (so proud of my guy!). It's all happened at once, like most things do of course, and in and amongst all of it is where the business of life is really stirring for us right now. Yet at the same time, my heart could burst from pure delight. To say the least, there is so much going on for husband and I right now. We feel busy, happily busy for the most part, as we strategize and plan for the upcoming adjustments we will need to make. We are prepping for the way life will change in the next few months and what that will look like for us. While the the adjective 'overwhelming' is a common description in our household (just see above, I've already used it once), there's also been immeasurable blessing from our Lord as He guides us through and answers our many prayers. Through Him we feel confident that we are headed in the right direction, that in fact our first years of marriage and the start of our family is meant to take place in our small town in Southwest Virginia. And we're full of peace in knowing that, especially with our people here in this small town too. So while I sometimes bog myself down with the chaos, I know I can rely on the strength of God to settle me, I can talk out every fear and excitement with whomever will listen (husband, thanks for your patience! ), and surround myself with those that fill my heart with joy. If I'm learning anything from this, it's of God's unending provision and love. All glory be to Him! And it's the understanding that no matter where we may end up, as long as I'm with husband it will all be more than okay. 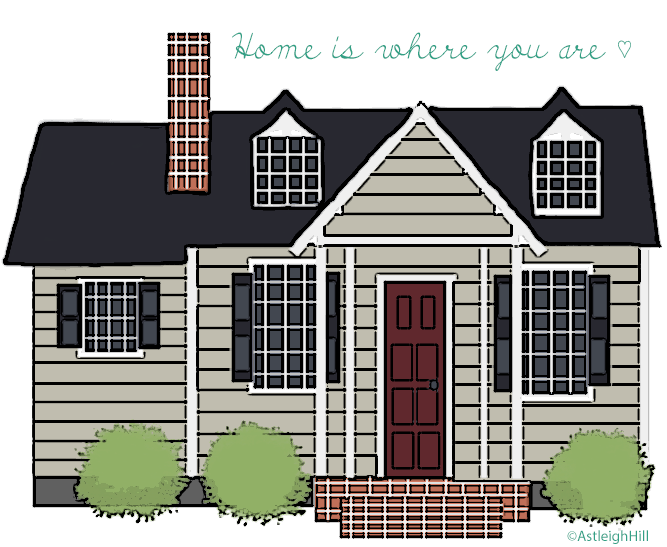 Here's to the continued house hunt (who doesn't love looking at homes?!) and the transition into a new normal for the Hills! p.s. don't forget about the giveaway going on right now!